Selecting the bike that fits your child's size and ability level will help him gain confidence and a love of riding. Whether your child is a beginner, road rider, or future BMX star, there is no shortage of great options available. Most kids will be riding bikes to the park, school, a friend's house, or just around the neighborhood. These kids don't need all the extras of an off-road bike. A standard bike or mountain bike is the best option for the average child rider. 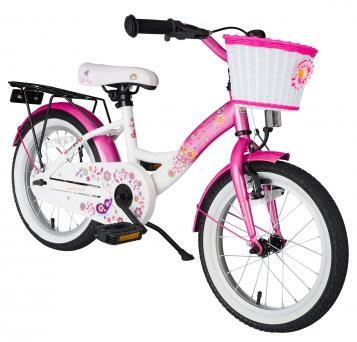 Selling for just under $150, this bike comes in a pink/white combo with graphic floral details. You can buy and add training wheels to make this a great beginner bike that can grow with your child. As is, the adjustable nature of the bike's components make it a perfect option for a bike that will last years. 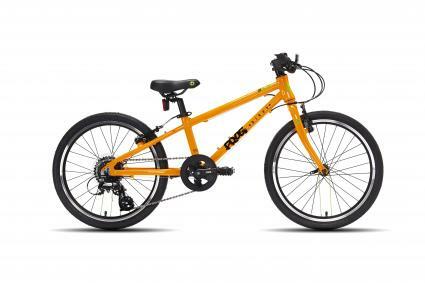 This 20-inch kids mountain bike brings safety, comfort, and style to the everyday bike ride. The steel frame, adjustable seat, and seven speeds ensure the Kent Super 20 Boys Bike will last through heavy usage over many years. 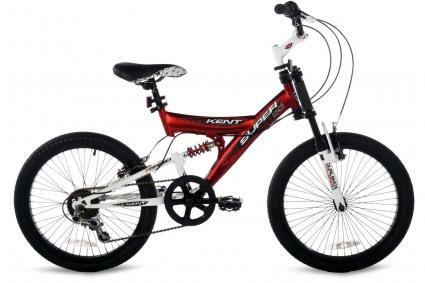 Recommended for ages seven to nine, this mountain bike comes in a red, black, and white color scheme. The handbrakes make it easy for beginning riders and the overall design appeals to seasoned cyclists. 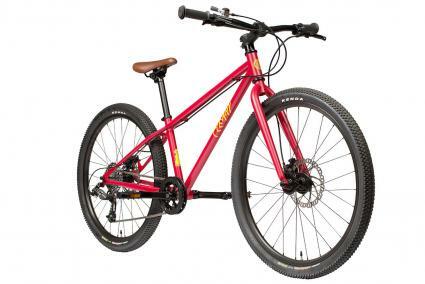 Mountain Bike Reviews gives a positive review to this bike, saying it is easy to assemble and is a durable choice for a children's bike. Although sometimes listed as a boy bike, the light red and black color scheme can appeal to female riders. 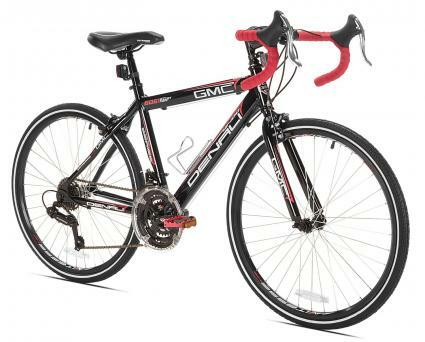 Target sells this bike for under $200. As more kids become involved in mountain biking and competitive riding like BMX, there is more demand for performance bikes made with child riders in mind. These bikes typically cost considerably more than your average kids' bike, but will give your child the edge he needs to compete. To purchase the correct size for your child, search for a dealer in your area using Kona's dealer search function. The adult look and feel of this bike combined with performance enhancing features appeals to younger riders who are serious about the sport of cycling. This mountain bike is built for trail riding but works just as well for everyday riding. Bicycling.com says the Meerkat is "well thought-out for kids." In true bicyclist form, the bike is recommended not for an age group but for children with an inseam of 23-30 inches. Boys and girls will enjoy the versatility of the Cleary Meerkat which is available for under $650. Available in very orange, deep blue, sorta pink, red, and astroturf. The comfort, durability, and power of this mountain bike works off-road and in the neighborhood. Kids will love the versatility and parents will love a bike that lasts through the years. Voted the best bike by eight-year-old testers in a focus group run by BikeRadar, the Beinn 24 is sure to be a hit for any kid age 7 and up. Kids will love the smooth, quick ride and gentle brakes. To order, you must call Islabikes. The Beinn 24 sells for under $550. Children enjoy the speed and freedom of riding a bicycle. Help your child develop a love of cycling by choosing the right bike for your child's size and needs.